Pale in colour with prominent hoppy palate and full flavoured finish, Golden Newt is a pale session bitter of 4.1% ABV. An award-winning cask conditioned traditional dark mild. Well balanced malt and hops gives a pleasant aroma and taste, with splendid roasted bitter flavours. 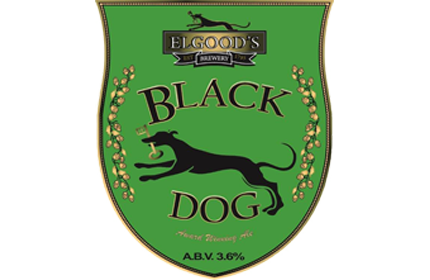 Black Dog is a traditional dark mild at 3.6%ABV. It has many CAMRA awards to its name and is a well-known brand in the free-trade. The beer is well balanced with a full roast flavour. The use of crystal malt and roast barley give a deep underlying characteristic flavour, which is balanced with Fuggles hops as the sole variety.